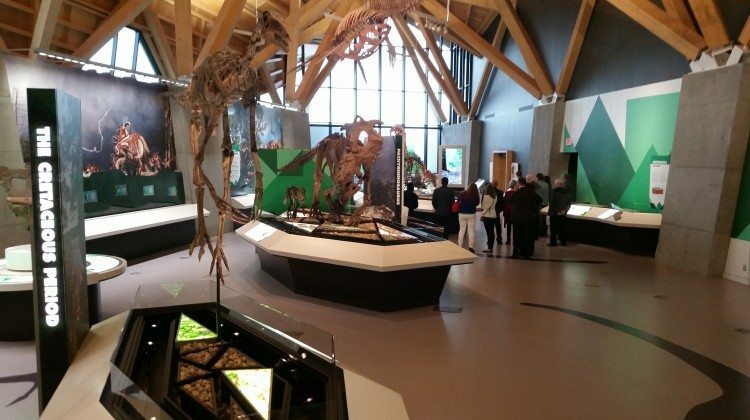 The County of Grande Prairie has given the Philip J. Currie Dinosaur Museum an advance to get it through the end of the year. River of Death and Discovery Dinosaur Museum Society Board Chair Linda Side says the $150,000 is largely to cover costs from taking over operations of the Dine-O-Saur restaurant. A new manager has been hired and Side says the museum has a plan in place to break even in 2020. The County of Grande Prairie has committed to a $400,000 operating grant for 2019, and the $150,000 advance will come out of that. The dinosaur museum just entered its fourth year open to the public in Wembley. While it has had its successes, it has also struggled financially since before it opened its doors. It has had to ask for extra money from the County in the past, and it has made efforts to cut costs and find new sources of revenue. Plans are in the works to get out of the red. Those include working with other tourism partners, renting out space more often, finding more corporate sponsorship, and creating an experience for people to visit bone beds along Pipestone Creek and the Wapiti River. Extra support is coming from the Town of Wembley. Mayor Chris Turnmire says it has pledged $5,000 a year for the next three years. A change in leadership is also in the works. Former executive director Susan Hunter recently left the museum and Side says it’s hoped a replacement will be in the building by next spring. She notes the position has continually changed over its three predecessors. The board has formed a committee for recruitment. It will also be meeting in early 2019 to set its focus for the next year.